The road out of Dalhousie Springs was rough, rocky and slow going. We were getting a taste of gut jiggling corrugations. We also experienced our first vehicle casualty of the trip. We lost a driver’s side mirror to a branch buried under the sand. Our front tire hit the branch in just a way that it flipped up and smacked our mirror. We made to it Kulgera Roadhouse by sundown. Since it is located at the extreme south of the Northern Territories, they claim to be “The first and last hotel of the Northern Territory”. After refueling the truck and setting up our campsite, we had a wonderful dinner at the Roadhouse pub. We took luxurious, hot showers, washing off six days of dirt. It took a couple of tries to get clean, but clean we were. After donning clean clothes as well, we went back to the pub to have a drink with some of the people we had met earlier. The rest of the night was spent chatting with two Australian brothers. One of whom had spent a good amount of time traveling around the outback and the other was experiencing the outback for the first time. After multiple days of quiet and very few people. It’s a bit hard to get used to being around people again. It is a bit overstimulating and comforting at the same time. 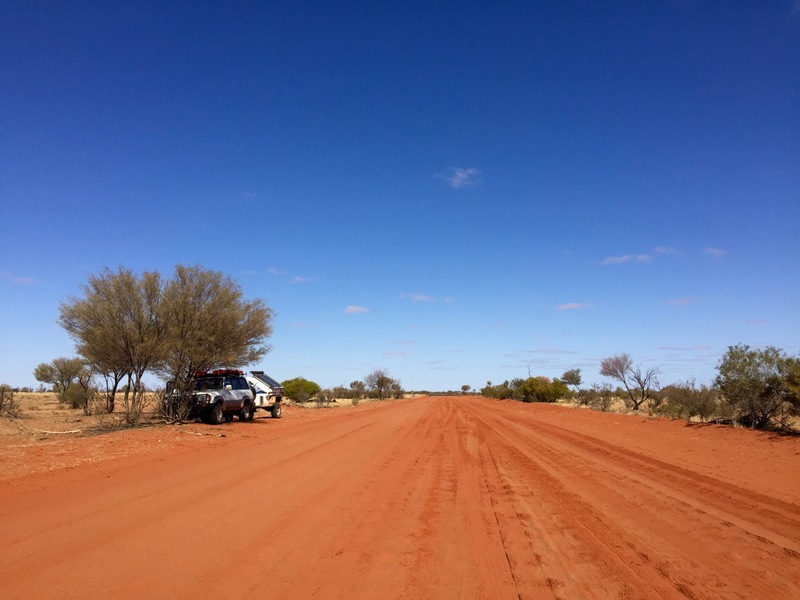 We have officially crossed the Simpson Desert!